Healthcare Marketing: Think Consumers Click off of TV Commercials? Research indicates the vast majority of consumers do not change channels during TV commercials. 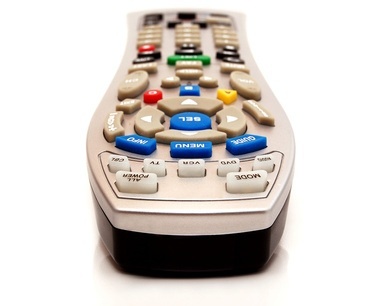 A commonly held belief is that consumers have the remote ready and click to other stations when commercials come on. But a recent study conducted by the Council of Research Excellence , an independent research group created and funded by the Nielsen Company indicated that 86% of viewers stick with a given channel during commercials. The study was conducted using live TV-consumption habits of 376 adults across 750,000 minutes. As reported by Michael Malone in Broadcasting & Cable , the study showed very little change in viewer habits during programming and during commercials. About 12% of the viewers changed channels during the regular programming and only 14% changed during commercials. The study followed only live TV viewing and not DVD viewing. The study also indicated that television advertising reached 85% of adults each day. And the average consumer was exposed to 73 minutes of real-time TV commercials or promos each day. So for those who say television advertising is dead or almost dead – perhaps not. This is the first real study of viewers’ habits during commercials and certainly discounts the assumptions by some that viewers don’t watch commercials. Television is still an extremely effective medium and this just proves that a large majority of Americans are watching television daily and are not clicking out of the commercials. So despite the recent impact of new media and social media, television still delivers!